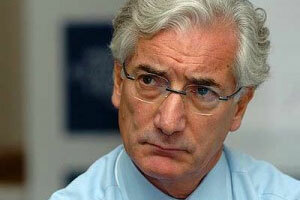 Sir Ronald Cohen is on a mission. Back in the 1970s he was one of the key players in the development of the venture capital industry in the UK, setting up Apax Partners. But now he’s using the approach he developed financing businesses and delivering a return to investors to tackle social issues. When you listen to Cohen (below) talk about it, the scale of the challenge is what interests him. He sees social problems getting bigger but charities and the public sector less able to try new approaches because their time is spent servicing existing needs. So 10 years ago he set about proving that ‘social investment’ could have an impact. He co-founded Bridges and the Social Investment Business and played a role in the creation of social impact bonds that are now spreading to other countries. But it’s only now that social investment is really taking off in the technology world. In the past it’s focussed on debt based investment which isn’t suited to high growth technology startups. Earlier this year Big Society Capital (of which Sir Ronnie is Chairman) was set up with money from dormant UK bank accounts to be a £600 million ($965m) investment bank for social investment. One of their first moves was into Nesta Impact Investments which, last week announced their first £17.5 million ($28m) seed fund. In tech terms it’s not huge, but what’s interesting is that it’s the first social investment fund that will make equity investments focused on seed stage technology startups. This all comes at the same time as prominent venture capitalists are increasingly talking about social issues as promising markets. In the UK Nic Brisbourne of DFJ Esprit has written about the growing interest in healthcare technology. And in the US, Albert Wenger and Fred Wilson have pushed founders to come to them with ‘hacking education’ ideas and have made a number of investments. Investors like Mitch Kapor have also shifted their focus towards social issues – Kapor Capital is overtly an ‘impact’ seed fund. In his now famous piece about ‘software eating the world’, Marc Andreessen writes that, “Health care and education, in my view, are next up for fundamental software-based transformation”. Even at the really early stage support is available. When we wrote the Startup Factories a year ago, accelerator programmes in Europe were mainly for digital technology in general but it was clear they would develop into particular verticals as was starting to happen in the US. Just this week, for example, there are Demo Days in San Francisco for Greenstart, Imagine K-12 and Code for America Accelerator. And sure enough, Healthbox has opened up a London branch, HealthXL accelerator run by Startupbootcamp in Dublin has just opened applications and Bethnal Green Ventures (which I help run) has just launched six new tech startups trying to solve social and environmental problems. Angel networks like that run by ClearlySo and big industry conferences for social investment like SOCAP held in San Francisco in September show that a real ecosystem is developing around this both in the US and Europe. The result? If you want to use digital technology to solve some of the world’s biggest problems like how we educate the next generation, improve the health of our elders or tackle climate change, you don’t need to apologise for it when seeking investment. That’s a welcome change. This is to differentiate from social capital in an academic sense, which is the resource advantages from the norms and networks within a social structure. See Putnam, Bourdieu, and James Coleman. And don’t forget Rock Health in SF + Boston! It is obviously a positive thing to see financial investment in socially beneficial enterprises and there is definitely a need for innovation in the public sector as the scale of the problems they face get ever larger and more complex. One of the things that does worry me though is whether the level of skills in adequate numbers of people are available to make these investments and innovations work. It seems generally pretty accepted that there aren’t enough skilled IT technicians to go around ( http://ow.ly/eQogS ) so will there be enough to prolong the good work done by initiatives such as those mentioned in the article? And remember that there have to be a decent enough number of significant long term successes in order to make this kind of investment part of the norm rather than an anomaly worth mentioning. When you mention “social impact,” most investors run for the exit. However, mention it as an added benefit to an otherwise strong team and market opportunity, and most investors want to learn more. This is the way its been for some time now.